Here’s a note from Maureen Hardin, Elegant Stitches, Cary, NC. I asked her about the sewing camps they’ve had this summer. Such cool projects! 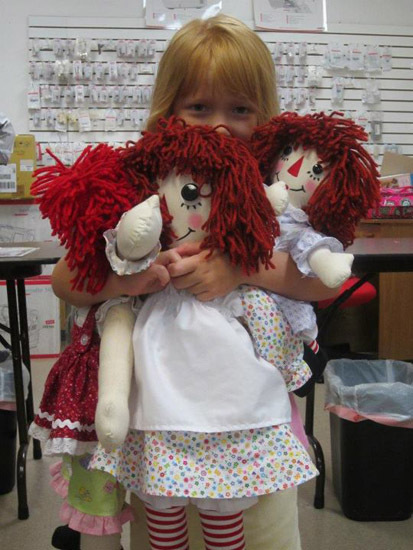 Maybe they’ll inspire a few end-of-summer sewing sessions for WeAllSew readers! 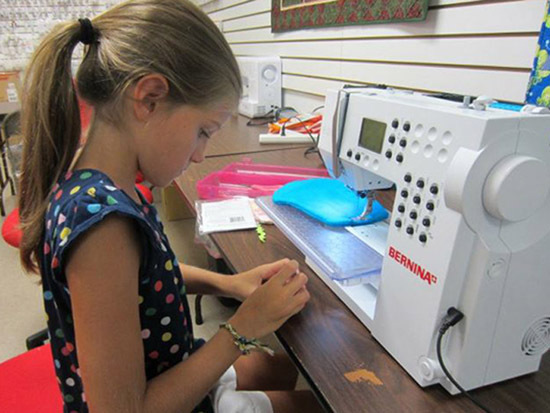 Summer Camps are for ages 9 and up. The students are usually 9-13 years old. In the first group (June camp), we made pillowcases and pajama pants (using Cindy Taylor Oates’ “Slumber Party” pattern for the pj pants). 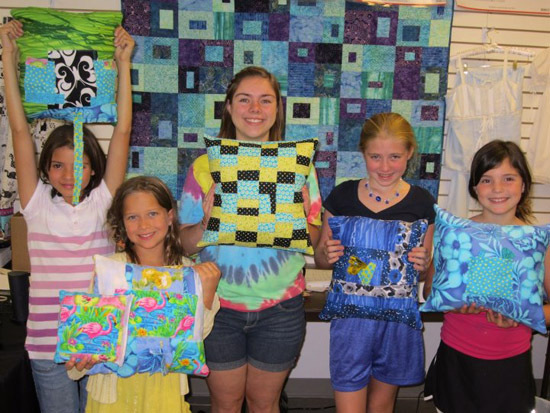 Then the girls designed their own decorative pillows (which they loved!). 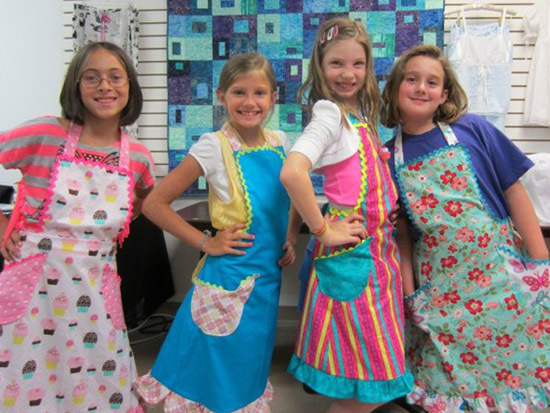 In July we made aprons and cupcake-shaped pot holders. The patterns were “Flirty Skirty” by The Apron Lady Designs and “Hot Cakes” by Susie C Shore Designs. I teach the same age group in YES Club once a month (YES stands for Young Elegant Stitchers). We make a different project (that is completed that night) each month; once time we made a memo board. Some of our other projects have been a binder cover, a duffel bag, headbands, Mother’s Day and Father’s Day gifts (the tidy tray! ), ribbon clutch, and shower wrap (from WeAllSew.com). Previous Previous post: Monogrammed Necklaces – on Wood!